High Resolution Version of the Quadrant Map? Has anyone found a high resolution version of the below map? Or if a someone from Modiphius would be kind enough to provide one I would appreciate it. I tried looking in the pdf, but there is only a partial version in the there. Modiphius' map is based on the Star Trek Star Charts book. Of course, the original map does not contain the Shackleton Expanse, but for viewing the Federation and other nations it is good enough. 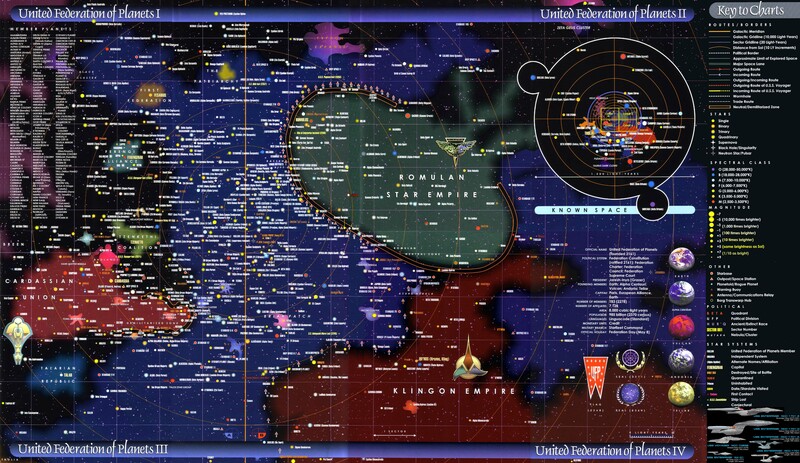 I don't think I am allowed to share those scans, but I found some images when googling "Star Trek Star Charts". I agree with you that it would be nice if we could get a proper high-res image of the "official" Star Trek Adventures chart. Thanks PatHenry and Shran. I might just run up to the local print shop and scan the poster. The reason I want this is to upload to roll20 for my online game.